I have a confession to make: I have a sweet tooth, not just any kind of sweet tooth but a chocolate one. Dan sometimes says I like to hoard varieties of chocolate from everywhere in all places of the house. If you're like me, and like to try pairing things, you've also found that red wine pairs very well with chocolate. So instead of trying to find a wine to pair with your favourite chocolate - what if the chocolate was already in your wine? In November 2016 during the Rocky Mountain Wine & Food Festival, I was introduced to ChocoVine. ChocoVine is produced in Holland and there are three different flavours available: ChocoVine Original (which is made from Dutch chocolate and red wine), ChocoVine Vanilla and ChocoVine Raspberry. 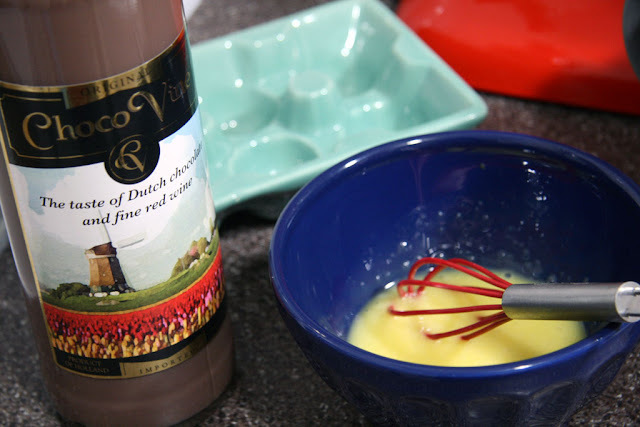 The Western Canadian distributors of ChocoVine recently asked me to make a recipe featuring their wine. 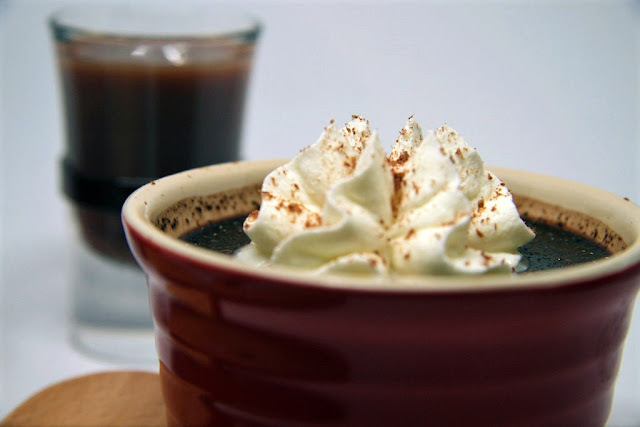 This recipe for Chocolate Pot de Crème has the perfect combination of smooth chocolate and the nice finish of ChocoVine. Preheat the oven to 325F. 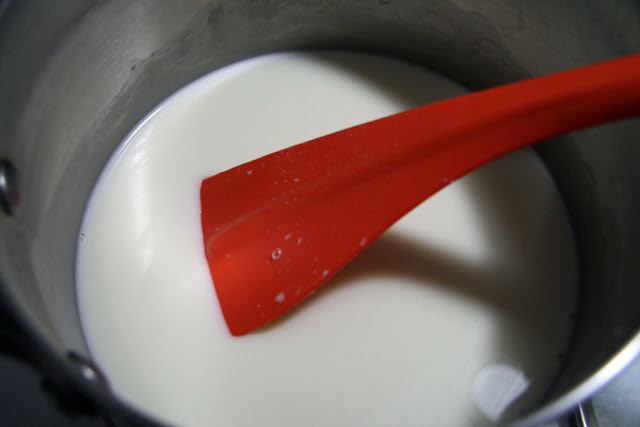 Heat whipping cream, 2% milk and sugar in a pot. Stir occasionally and bring the mixture to a boil. 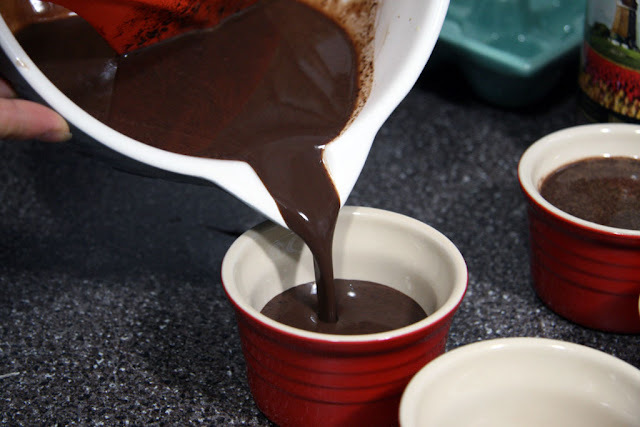 Place dark chocolate chips in a separate heatproof bowl. 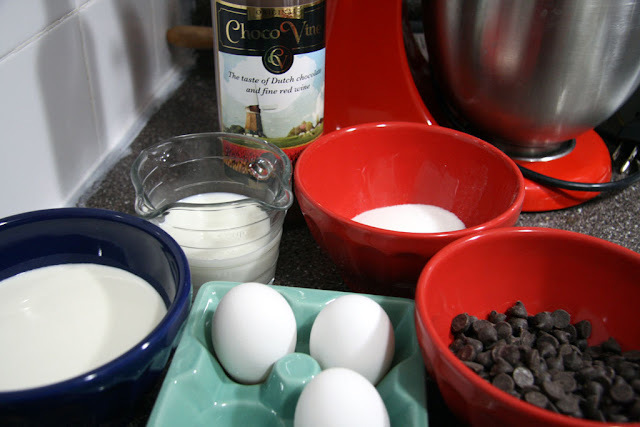 Once the milk mixture is boiling, pour it slowly into the bowl containing the chocolate chips. Stir until all the chocolate chips have melted (It may look oily as it melts). In another bowl whisk the egg yolks until smooth. 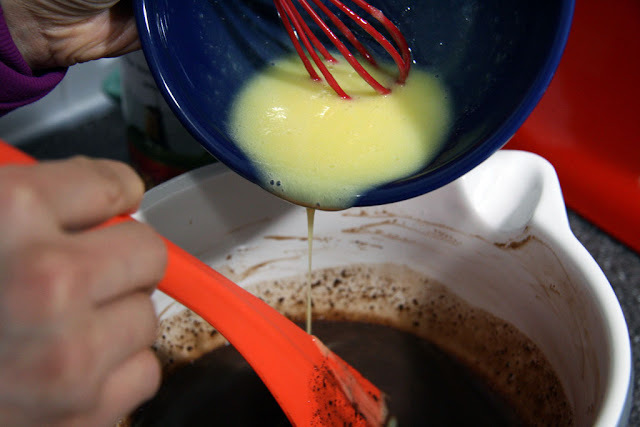 Slowly add the egg yolks in a stream into the chocolate mixture. Stir the mixture as you add in the whipped egg yolks. 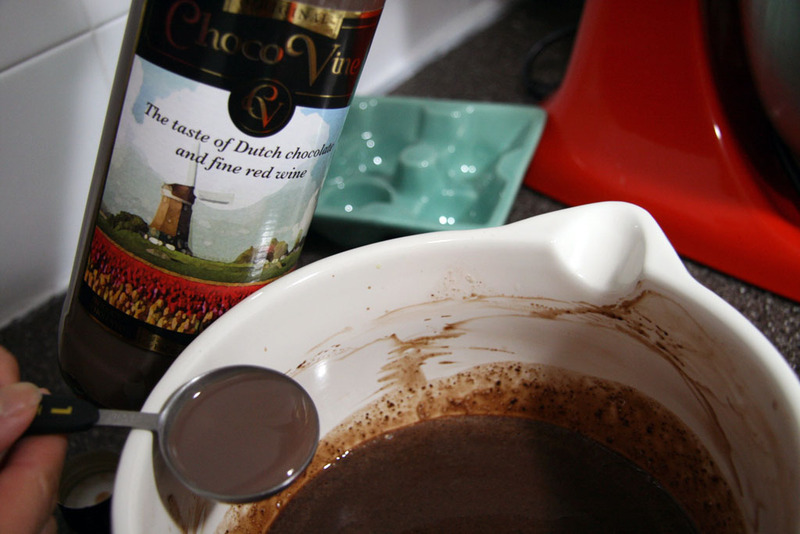 Stir in 2 tablespoons of ChocoVine to the chocolate mixture. 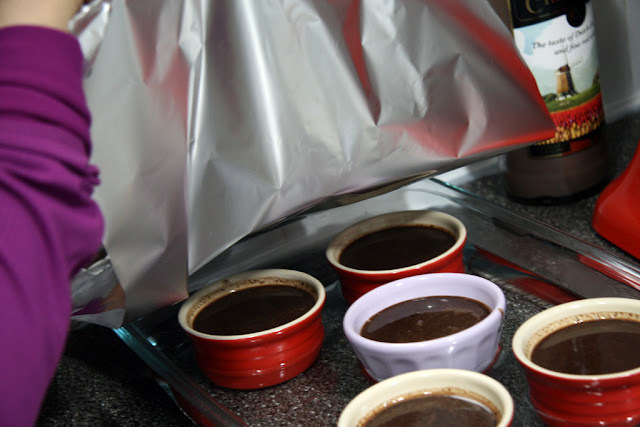 Pour the chocolate mixture into 5 heatproof containers (I used 4 ramekins and 1 small bowl). 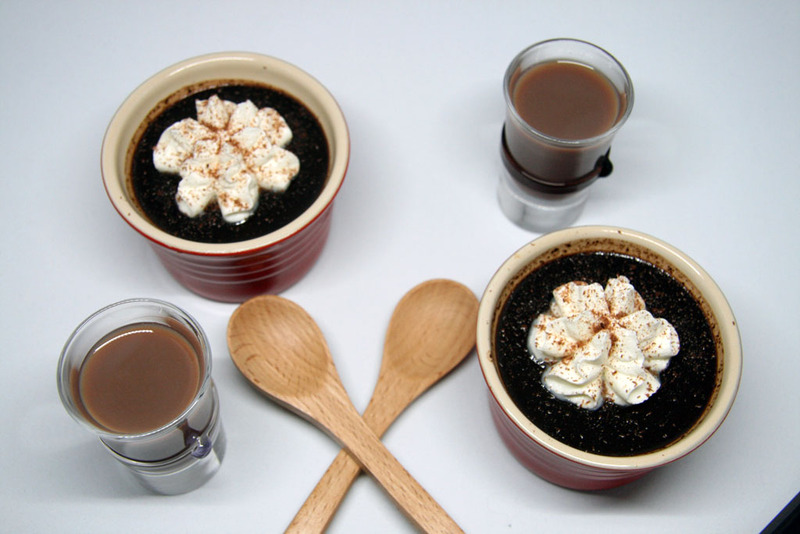 Place the ramekins into a heatproof rectangular baking dish. Pour warm water into the tray until the tray is half full of water (this makes a hot water bath and prevents the dessert from overcooking). Cover the tray with tinfoil and bake at 325F for 30-35 minutes. 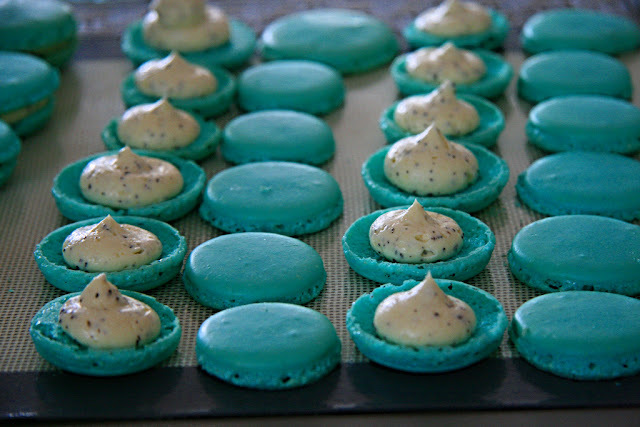 They are done when it is firm but jiggles slightly (sort of like jello). Check them around the 25 min mark to see how they are doing as each oven is different. Just be careful of the steam as you lift the tin foil off to check. After baking, carefully remove each ramekin from the hot water bath (use gloves or a tea towel). 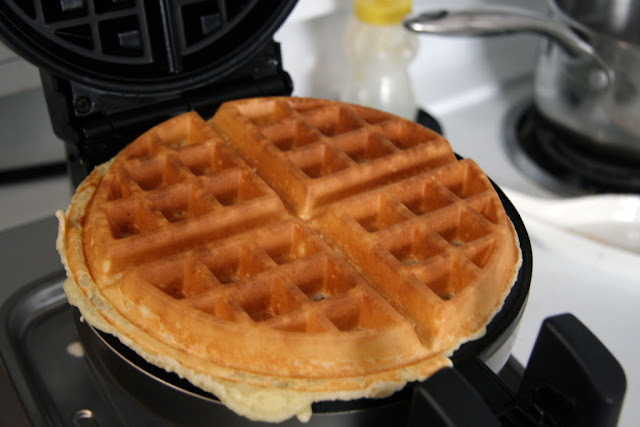 Allow them to reach room temperature (approximately 30 minutes). While the pot de crème is still warm, top with a dollop of whipped cream - this is optional but so very tasty! 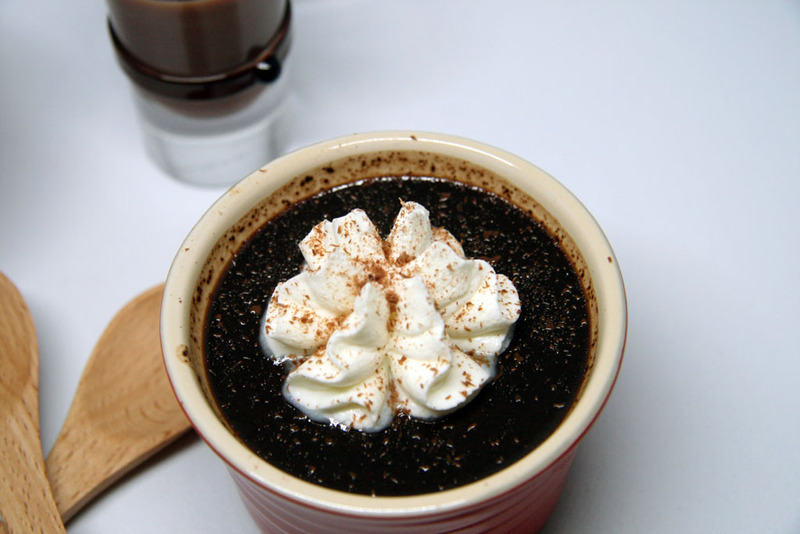 Add a sprinkle of chocolate shavings if desired. 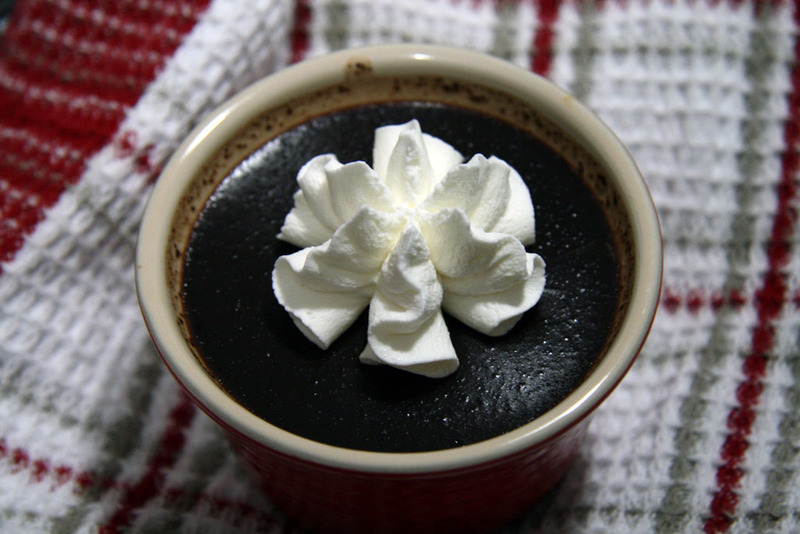 These ChocoVine Pot de Crème are best eaten warm. 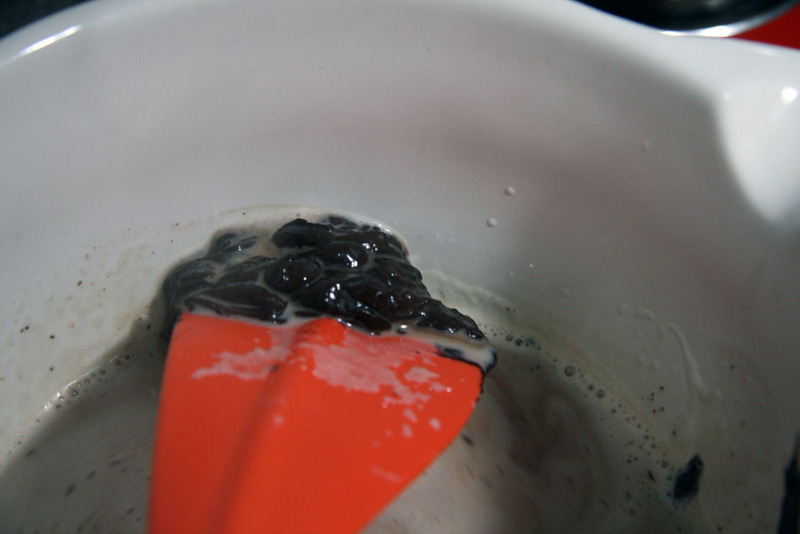 When you first get your spoon into the filling, you will find that it has an oozy chocolate centre. 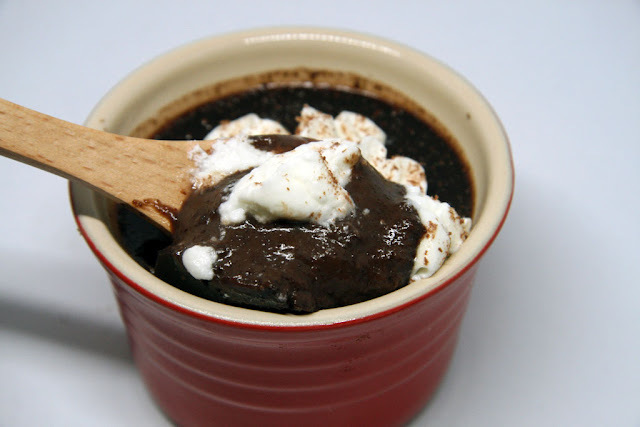 In my opinion, this dessert is perfect; the texture of the pot de crème is smooth (not at all gritty), and the addition of the ChocoVine adds some depth and complexity to an already great dessert! While the dessert is likely best eaten warm, I stole a few bites after a night in the fridge and they taste just as good. You can purchase ChocoVine currently in two different flavours - Chocolate or Vanilla. If you are in Alberta the easiest way to find which stores sells ChocoVine is to go to Liquor Connect. 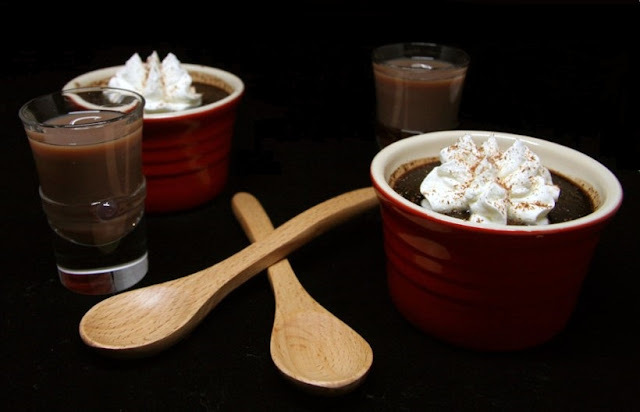 I am excited to share that not only can you make these delicious ChocoVine Pot de Crème from this blogpost, but Edmonton residents (or surrounding areas) and Calgary have the chance to win a bottle each of the ChocoVine. There are some rule and restrictions, one of which is that you must be 18+ to enter, answer a skill-testing question to be announced the winner, and the winner will need to meet with us to receive the prize. 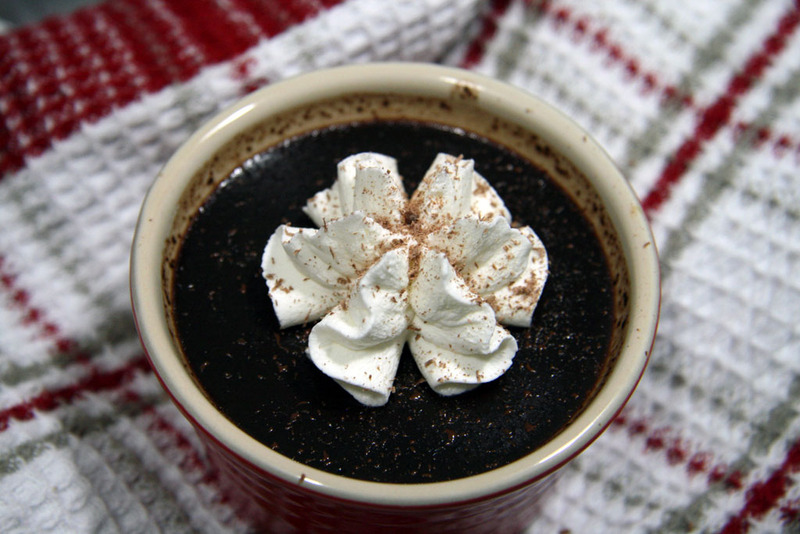 What would you create with ChocoVine? Leave another blogpost comment about which recipe on my blog you would like to make. Check out the Gluten Free Buckwheat Crepes with Butter Sauce to see another recipe using ChocoVine.